This institute is one of the premier institutes for the study of Hotel Management in North India with notable presence in Nepal too. The institute has been in operation since 2010 at its premises in Sonepat in the state of Haryana falling in the National Capital Region touching Delhi. The students for the Bachelor courses held by the institute is a mix of young ladies and gentlemen from India and some neighboring countries also, aspiring to be hotel professionals in future. 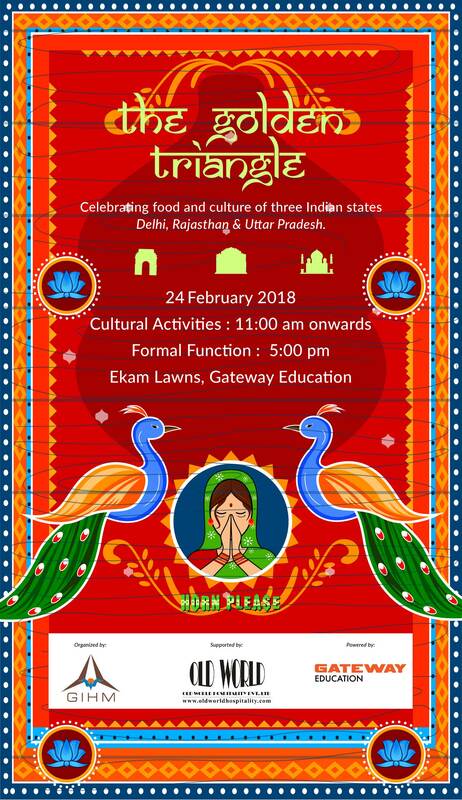 In order to expand the horizons of our study and for the sake of the hands-on experience of our students a Grand Indian Food & Cultural festival is being organized by the students and the faculty of the institute with the cooperation of established chefs in the industry, on 24th February, 2018 at the institute’s campus. Old world Hospitality@ India Habitat Center is going to be the event partner. We wish to request you to send student participants from your esteemed institution. The details of various competition activities and their respective rules & regulations with the event coordinator is attached for your reference.